When Googling Stars, the first thing that comes up is the women’s hockey team. Not being partial to Quebecoise women’s sports myself, I had to dig a little further before I could actually find some info about Stars: the band, not the hockey team. If you need validation from Pitchfork and Coachella, rest assured, Stars has been there, done that. If you’re a huge fan of Montreal music that probably started out in somebody’s loft and has now moved onto a radio station you can’t stand, rest assured, Stars has done that too. Hey Rosetta! is the opener, and you can go through Greenland and Evenko for your tickets. 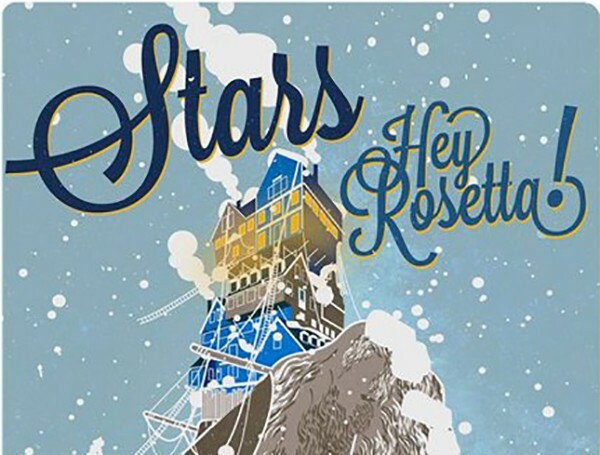 Or Hey Rosetta’s website (which will be a prime opportunity for you to find out more about them. Unless you’re like me, and like your first impressions to be live). In closing, though we don’t really need another high-profile Montreal pop band, Stars is cute and has been around for a while. Go on, pay your homage.